In January, Tesla proposed a new compensation plan for CEO Elon Musk that could end with him earning anywhere from $0 to $55.8 billion. Tesla’s investors still have to approve the pay package at a shareholder meeting later this month, and one major analyst is encouraging them to reject it. Glass Lewis & Co., a shareholder adviser, said in a report obtained by Bloomberg that Tesla’s proposal to give Musk an additional 12 percent of the company’s shares would be too costly and dilute other investors. (Tesla currently valued the shares at $2.6 billion.) Many felt it was an effort to keep the ever-busy Musk on board at Tesla for the foreseeable future. But Glass Lewis feels that shouldn’t be necessary. “Any relative comparison of the grant’s size would be akin to stacking nickels against dollars,” Glass Lewis said in the Feb. 28 report, questioning why Musk would need one of the largest equity awards in history to keep him fully focused on the business. Supporters have praised the compensation plan as a signal that Musk, 46, will remain at Tesla and that his other ambitions won’t take priority over stock returns. Others have raised questions as to whether the proposed 10-figure package’s purpose is to motivate Musk, who’s already a billionaire and holds a 20 percent stake, or a very expensive way of calming investors concerned that he’ll abandon the maker of electric cars for one of his other ventures. Tesla declined to comment to Bloomberg when asked about the report. The compensation package is designed to be, as Tesla put it, an all-or-nothing deal for Musk. The CEO—who’s worth $20 billion, according to Forbes—would receive a 10-year grant of stock options equivalent to 1 percent of Tesla’s total outstanding shares for each milestone that’s hit. The stock options are split into 12 tranches, which begin once Tesla hits a market cap of $100 billion. From there, it increases in $50 billion steps, up to the $650 billion target, which Musk would need to happen by 2028, in order to net the top payday valued at around $55.8 billion. (Tesla noted that figure could be diluted due to employee stock awards or if the automaker acquires companies in the future.) If Musk fails to hit the benchmarks for any tranche, he could walk away with $0. Musk tried to dispel any rumors that he’d leave Tesla to focus more on Space X, saying in a February conference call that he plans to stay on with the automaker as it tries to ramp up production of its first mass-market car, the all-electric Model 3 sedan. 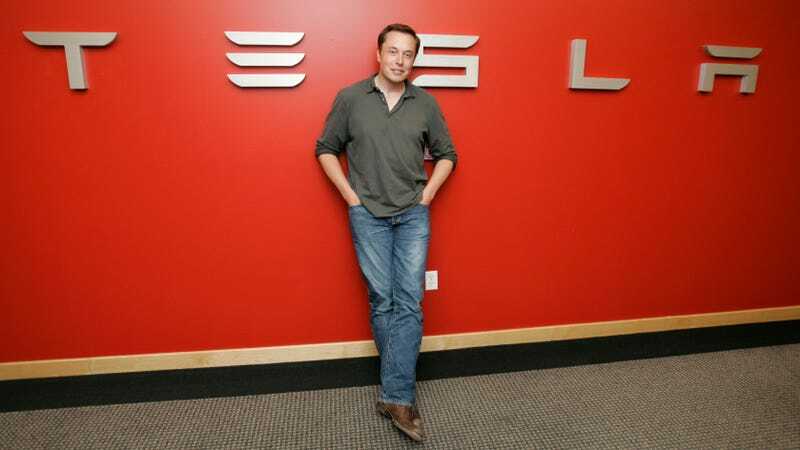 If he succeeds in growing Tesla to $650 billion, it’d make Tesla one of the highest valued companies in the world. Glass Lewis recommended in 2016 for Tesla investors to reject a merger with SolarCity, which ultimately happened anyway. We’ll have to wait and see until March 21 if its clients agree this time.